Feliz Navidad y Prospero Ano! 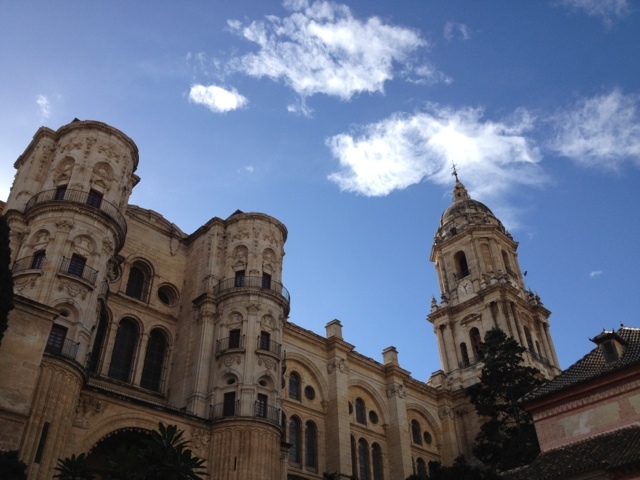 Merry Christmas from Malaga, Spain!! This year I have so much to be thankful for - and though I am still far from my destination, I have very much enjoyed the journey. One of my best and wisest friends always says "everything happens for a reason", and I used to rail against that line of thinking, because often times it's not the path I wanted nor did it have any logic that I could see or accept at the time. I could have kept my eyes tightly shut and fumbled my way down The Track. But it wasn't meant to be, and that's ok. If not for the 10 years I invested (and all the love and lessons learned), and for the amazing support I had in leaving that behind/moving forward, I would never perhaps have grown the way I have, never met these incredible people who have forever changed my life, never took the time to myself to discover who I really am, and dare I say it - really like who I've become. For that I thank some truly incredible family and friends. As we finish up the last leg of the European vacation (for my parents' 60th birthdays), and I look forward to a new year of new adventure and opportunities to learn and grow as a person - I wish you all a fantastic holiday season filled with deliciousness in all areas of your life. Thanks for reading and keeping me company in my ongoing journey, you're the best!! One of my favorite things about getting to work in West LA this year are the fantastic lunch options - having just come from Burbank, I was in absolute heaven. Especially to be so near to Sawtelle Blvd, which has continued to expand its diversified Asian offerings beyond Japanese. A Vietnamese place that has become a favorite for me is Nongla Cafe - I know I can always rely on them for good, clean, soul-soothing noodle soups. It's received some flak for not being completely authentic - but it makes a lot of sense from a business perspecitve - afterall, part of having good business sense is knowing your audience - and on the Westside, people are adventurous 'to a point'. Office workers close by may consider themselves fans or even knowledgeable food lovers of ethnic cuisine, but they don't necessarily want to go 'full fear factor' during their lunch break. All things considered, it's fantastic to have their version of classic Vietnamese dishes so accessible - of course you can get more 'authentic' versions in the SGV, but if you work in West LA and only have an hour for lunch, where else are you going to go to get a good bowl of pho or bun bo hue?! So, while the Bun Bo Hue here doesn't have any pigs blood or pork knuckles - it is a perfect balance of layered, complex yet light and clean flavors: fragrant lemongrass beef soup served with vermicelli noodles, pork patty and beef, topped with red onions, green onions and cilantro. I get this 'mild'ly spicy as I belong to that group that can't handle my spice (and disclaimer: I haven't had a lot of Bun Bo Hue before so I don't really have any good frame of reference). But I do love that everything tastes super fresh, addictively delicious here and healthy as a bonus benefit with no MSG. Chicken Pho - free range chicken and noodles in chicken broth. This is my coworker Mims' favorite - again clean, light and beautifully complex flavors, simply served. Nongla also offers Vietnamese spring rolls, bahn mi (sandwiches) and rice dishes, which we haven't even gotten to yet since we love the noodle soups above so much and it comes in generous portions which arevery filling for lunch. As for the decor in the restaurant - it is also clean and modern, with counter as well as table seating inside and on the patio. It does get airly crowded at lunch so service can be spotty just due to the limited staff trying to keep up with all the tables. (Including all the spillover from Tsujita - those who can't stand the long wait there often opt for Nongla instead) They are super friendly and obviously trying their best though - and the whole space has a very cozy neighborhood vibe. East Coast transplants often say they miss distinct seasons and varied weather - and I usually beg to differ. Beautiful weather most of the year is the way I like it. But, Nongla's noodle soups almost make me welcome rainy days, just for yet another reason for a return visit. Parking: free valet on Mississipi Ave.
Fun, functional, foodie-friendly. 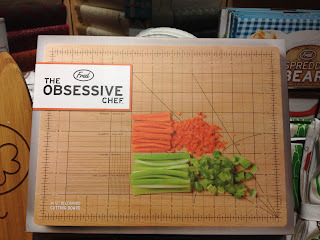 Here are the Top 10 finds so far for holiday gifts that won't cause an acute case of boredom, nor break the bank. Where there are deals, or high/low cost options, I have noted them below - but all are $80 or under. Edible gift ideas are in a separate post. To state the obvious: spices change the entire flavor profile of a dish. And spice blends are the gift that keeps on giving for working professionals who don't have time to cook multi-course meals but still want to enjoy something that tastes gourmet. 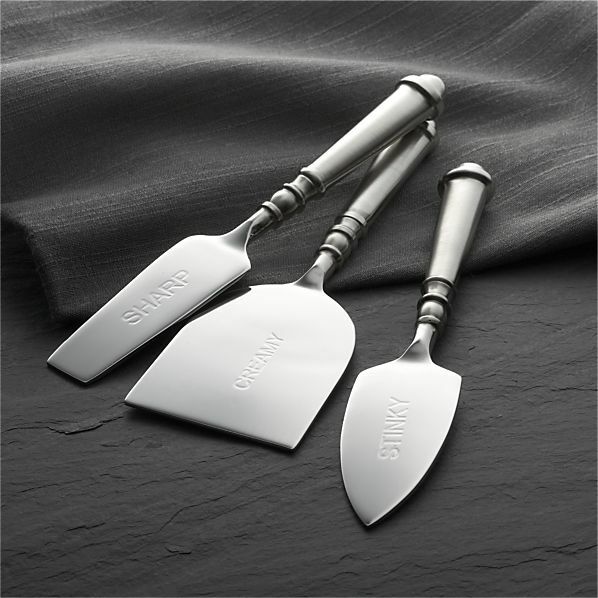 This kit includes The Art of Blending e-book, by Lior Lev Sercarz, who has created custom blends for some of the world’s top culinary minds and counts chefs Daniel Boulud, Eric Ripert and Top Chef judge Gail Simmons among his clients. 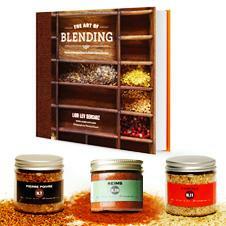 Sercarz’s first cookbook tells the stories behind the blends, with recipes for each contributed by his clients. Also included in the kit are 3 jars of his popular spices: Pierre Poivre Spice Blend, Cancale Spice Blend, and Reims Spice Blend. For a lower priced option, choose from over 40 unique sounding, intriguing blends from Orchidea (orchid root, lime, sichuan pepper and spices) to Ana (sumac, rose blossom, sesame seeds, middle eastern spices) to Dali (saffron, lemon, cayenne, and "seafood essence"). 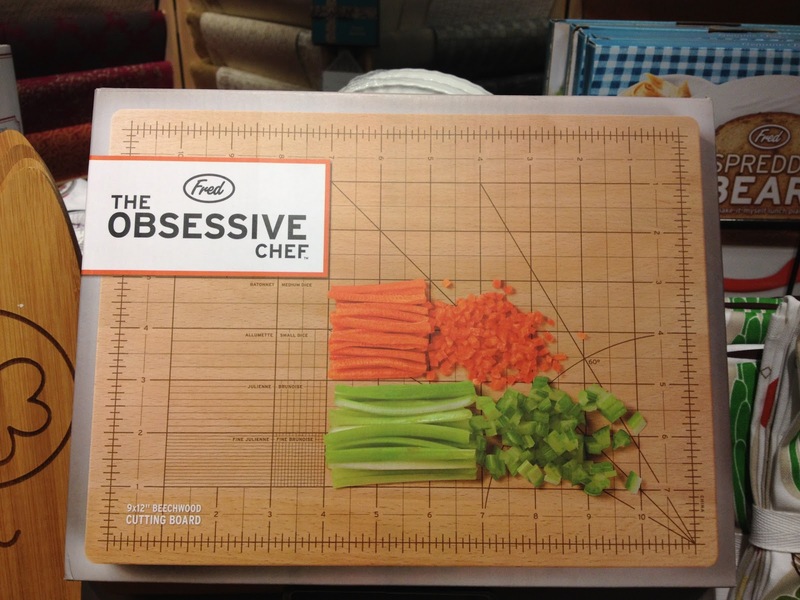 For those who like to cook - and follow recipes to the letter: give the gift of precision prep with this beechwood cutting board, printed with graph lines to help the OCD chef attain that elusive level of exactitude and consistency. 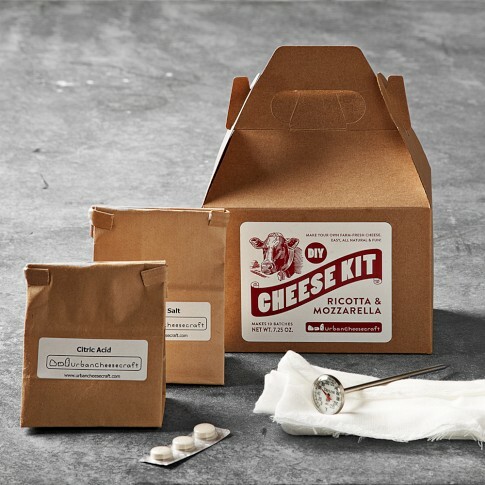 I don't know about things tasting better when you make it yourself (certainly not true for me) but this kit definitely sounds like fun for cheese lovers! Make your own all-natural ricotta and mozzarella (oops I guess this one really belongs in the edible gift ideas post)! Uses whole or low-fat milk, 1 gallon per batch. 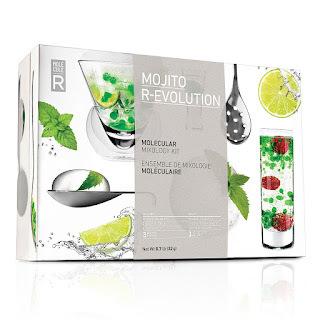 Mix it up - break free of the tradition of drinks you drink just because it's the holidays and that's what you drink. 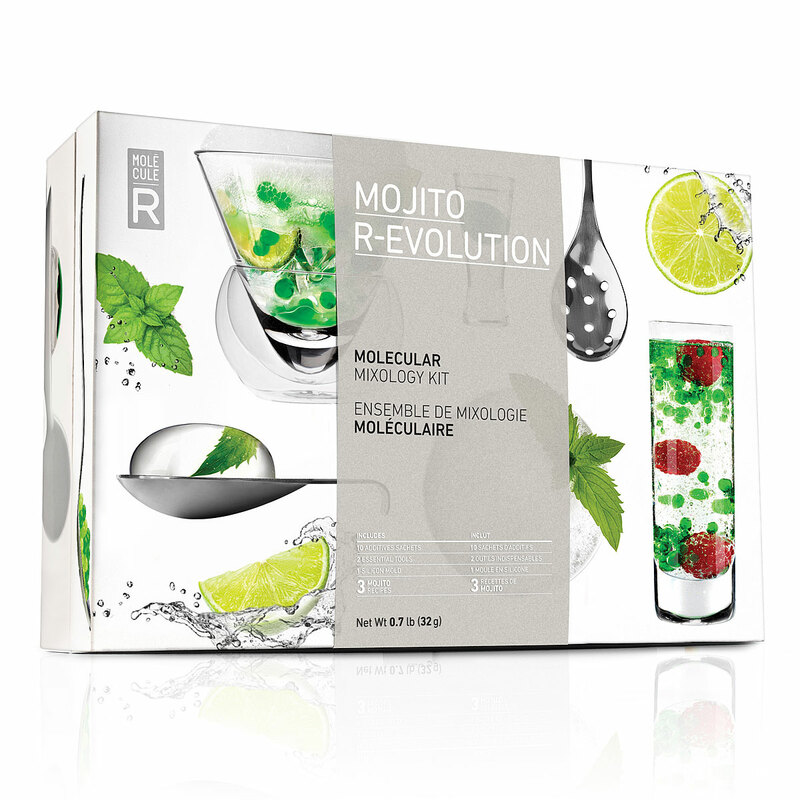 Do something that is both fun to make and imbibe, and serves as a great ice-breaker at holiday parties - with this Mojito R-evolution molecular mixology kit. They take great care with the food they serve - give them a beautiful canvas to present their works of art on! When it comes to dishware, most things that are gorgeous usually canot withstand actual life - and there's nothing worse for time-crunched foodies than dishes that can ONLY be handwashed and handled with white glove service etc. Eri Sugimoto's lovely pottery dishes are gorgeous to behold AND dishwasher and microwave safe. LOVE these!!! 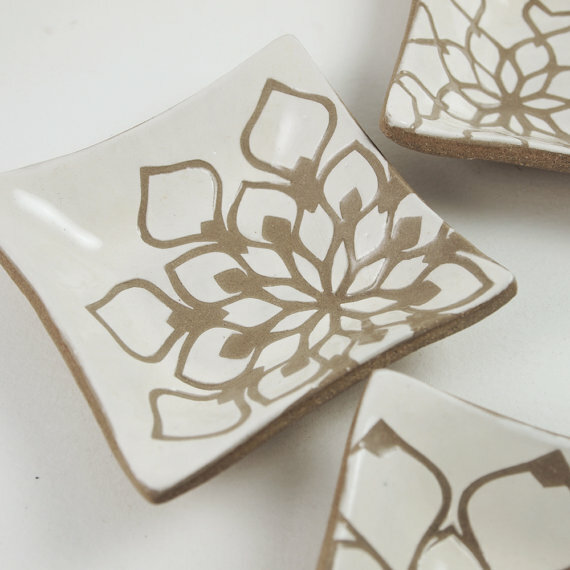 Buy from: Eri Sugimoto Etsy Shop small plate $14 each - see full collection at Etsy store. 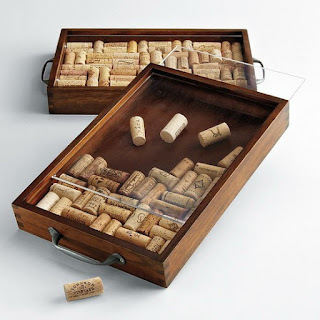 A great customizable keepsake that's got form and function down: a serving tray that lets your favorite wine lover display that brag-worthy cork collection. Tray fits 100 corks. Or if you're not sure the size of their collection, Red Envelope will supply corks for you to fill the tray for an additional charge. Fresh herbs are awesome, but they always wilt and wither far too soon. Keeping live plants is ideal, but what urban apartment dweller has room to grow much less tie to tend their own herb garden? 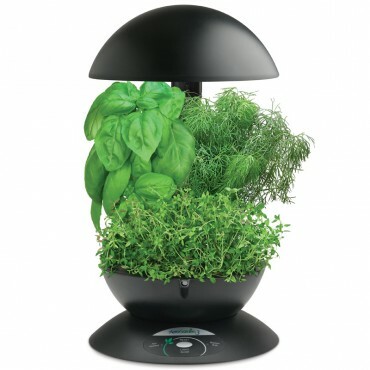 AeroGarden is a cool solution - they're compact, dirt-free, indoor gardens that tell you when it’s time to add water and nutrients, and even turns grow lights on and off to simulate the sun, making it super easy for anyone (presumably even those like me with black thumbs) to grow and have access to fresh herbs year round! 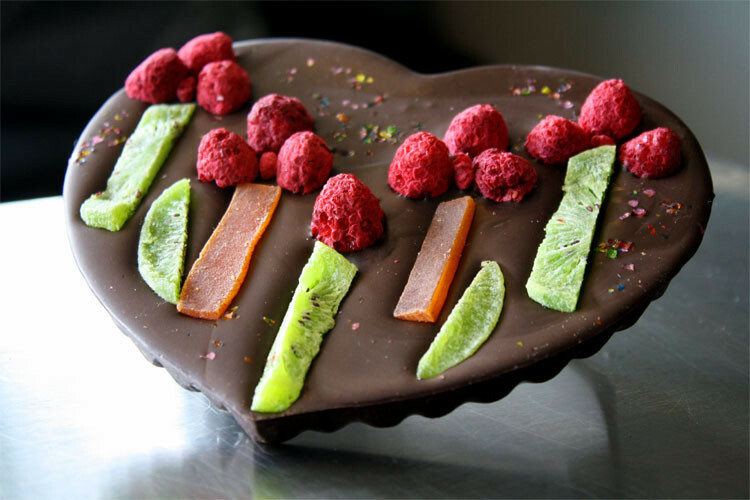 Make them feel like a Michelin chef with fancy edible flowers at the ready to turn their culinary creations into a work of delectable art. This is low-tech, a traditional style mini-garden for your kitchen windowsill, but comes in a lovely presentation of elevated pots that serves as a great decorative piece with purpose. For those who haven't upgraded to iPhone 5 yet (and maybe don't plan to as a statement of rebellion against the marketing machine that keeps churning out new models just as you're recovering from the dent the last model made in your paycheck) - a cool case for the iPhone 4 or 4S that looks good enough to eat! From Peter K Designs. 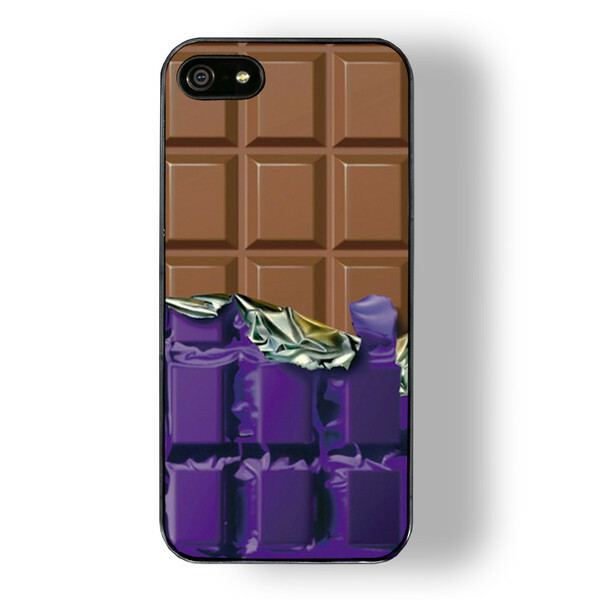 For those who have upgraded: love this chocolate bar case for the iPhone 5. 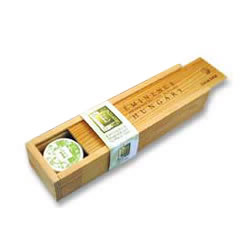 Eminence Organic Skincare products are made in Hungary using all organic ingredients that smell amazing. With all the often stressful holiday travelling, give them a little bit of pampering via this spa on the go. This little travel gift set includes 1/2 oz jars of some of my favorites: Sweet Red Rose Cleanser, Rosehip and Maize Exfoliating Masque, Stone Crop Masque, Apricot Whip Moisturizer for Day, Naseberry Treatment Cream for Night - in a lovely wooden box. 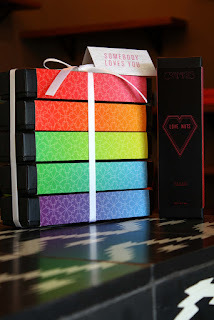 Yes this line o product is a bit pricey but they worked well on my skin (combo) and I am literally addicted to the amazing smells! Ok some bonus ones beyond the main 10 gift ideas. Just because they are adorable. 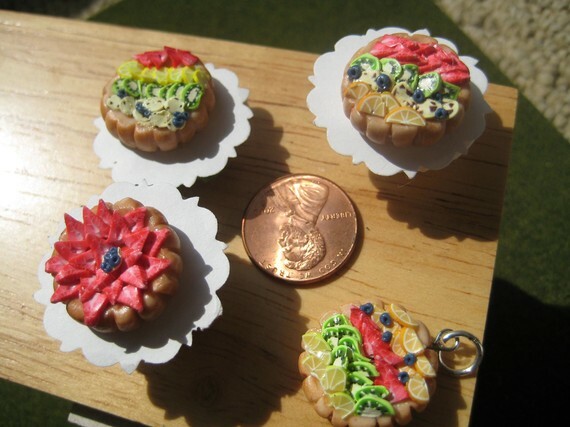 Handcrafted food miniatures from this Etsy artist are mouthwatering! Most of the people I know are too old to wear these as jewelry, but these would make cute zipper pulls for bags or makeup case etc. This is just a start. Got any cool gift suggestions? Send 'em my way or post in the comments! So now that we are in December - if you're not one of those people who finished shopping months ago - it's time to ramp up your holiday shopping in earnest. Here are a few gift ideas for edible gifts for the foodies in your life. Both high and low priced options - all $80 or under! Weak legislators may have caved to pressure from the vocal minority, in allowing the law banning the sale of foie gras in California to take effect this July. But luckily, they can't stop out of state vendors from selling foie to us - so you can still have your foie, and eat it too (as long as you don't resell it to anyone)!!! 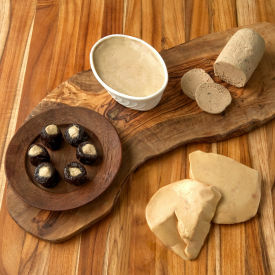 D'Artagnan, respected gourmet foods purveyor based in New Jersey, has stepped up and made a point of reassuring customers in California that it's legal to purchase foie from them, as long as we don't resell in CA. And they have a fantastic, foodgasmic, mouth-watering collection of foie on offer including a Foie Gras Sampler featuring raw slices (mmm, seared foie), truffle mousse, torchon and this amazing sounding creation called French Kisses that's made from Armagnac (French brandy) marinated prunes stuffed with foie mousse!!! For a more affordable gift or stocking stuffer that will possibly result in your foie-starved foodie jumping your bones (because I know I would, hint, hint)...there are the affordable packages of French Kisses alone for just $9.99! 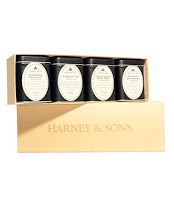 I'm a sucker for packaging - but Harney & Sons manages to hit a trifecta with their holiday gift sets of quality teas, beautiful packaging and palatable price points. 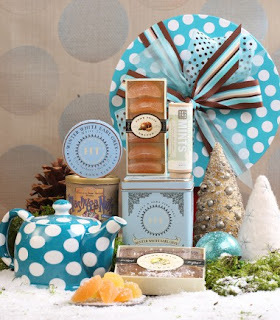 The Wonderland Winter set comes with a tin of tea (silk sacheted bags of Winter White Earl Grey inside), a lovely tea pot and gourmet bites to go with a civilized spot of tea from Mashuga Nuts (cinnamon spiced pecans) to citrus candies, all in a lovely blue polka dot hat box! They also have a more sophisticated looking set of loose leaf tea tins arranged in samplers by type (black teas, green teas etc.) starting at $20 each. Don't let mass produced chocolate happen to your loved ones. These will drive your favorite sweet-toothed foodie and/or chocoholic crazy...I don't know how it's possible to make these as amazing as they are, but they are basically roasted nuts including almonds, cashews, macadamias, hazelnuts and pecans all hand caramelized with tahitian vanilla beans, coated in organic single-origin chocolate, sea salt and finished in cocoa powder. Created by an artisan who started when he was just 15 years old, in a family business that has been popular with Angelenos since the 1950s. SO insanely decadently delicious. Looking for a lower priced item? There are also lovely Holiday truffles including this Gingerbread flavored one with cute penguin print. 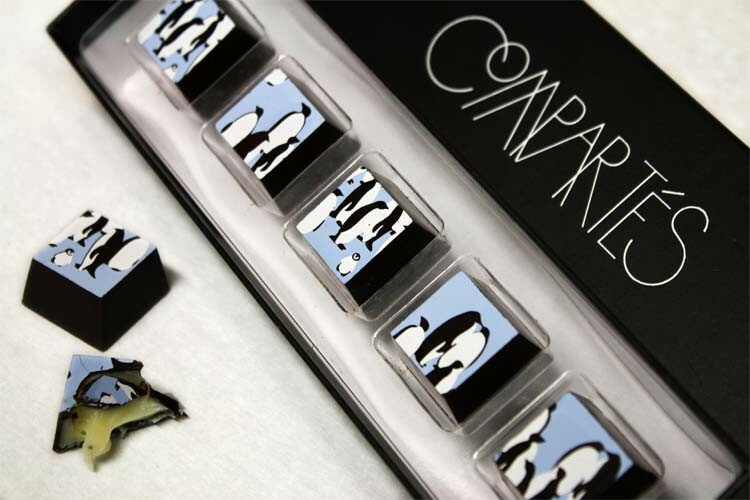 Also love their beautiful, elegant artisan chocolate bars studded with lovely dried fruits and spices ranging from goji berries to guava to pink peppercorns! Squares and heart-shaped bars available - see site for details. Miracle diets come and go in LA quicker than celebrity hookups. Regular readers know I'm not at all into healthy offerings unless they taste good first, and are healthy as a bonus. Well the latest juicing craze meets my criteria, and I was excited to find Pressed Juicery which yes uses cold hydraulic press to produce their drinks, in order to maximize nutrients that go into each bottle -but first and foremost, taste AMAZING. It goes down clean - you don't get the sugary stickiness from most juices - and I actually feel a huge difference in energy on the days I drink this stuff. This place (and others riding the juicing wave) have received a ton of flak for being super expensive - but if you look at all the ingredients and process that go into this, and factor in the investment in machinery as well as time to purchase and wash the produce, then clean the machines - the $6.50/bottle price isn't completey insane. Several friends who actually went the DIY route have complained about how hard their Vitamix or other machines are to clean, and time to prep the produce - and have said they'd rather pay for the ready to drink options. So for those friends - gift cards to Pressed Juicery! Buy from: Pressed Juicery (gift cards at any denomination for purchase in-stores, locations here). Monthly shipments for nationwide destinations are also available for purchase online, but they are just way out of my imposed maximum price for this post. A cool new concept - 3-course dinners designed by renowned/famous chefs from Master Chef contestants to Le Cirque alumnus, pre-cooked and delivered to their door (frozen, with simple reheat/quick cook instructions). Perfect for your favorite stressed out worker bee who doesn't have time to breathe, let alone cook multi-course meals, especially on weeknights. Give them a trial run of a gourmet alternative to ramen / breakfast for dinner (i.e. scrambled eggs and tears). 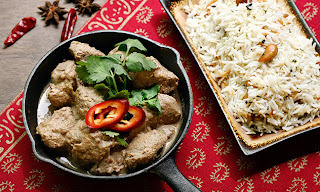 Current meals run from Wild Boar Ragu with Truffled Polenta to Lamb Biryani. 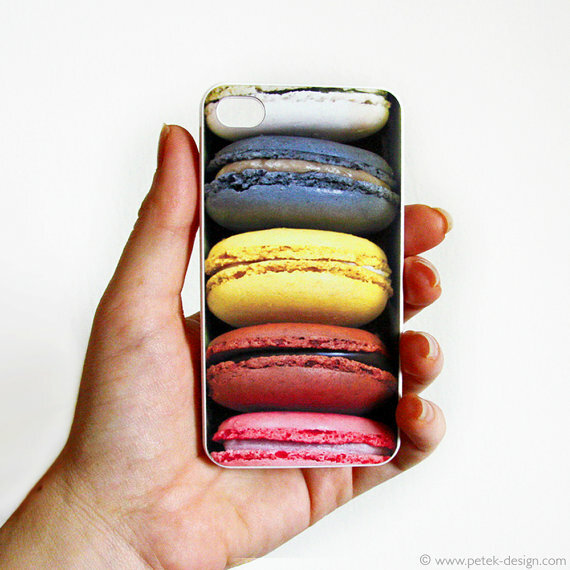 I may be just a little biased, but truffles make the perfect gift for 'true' :P food lovers! 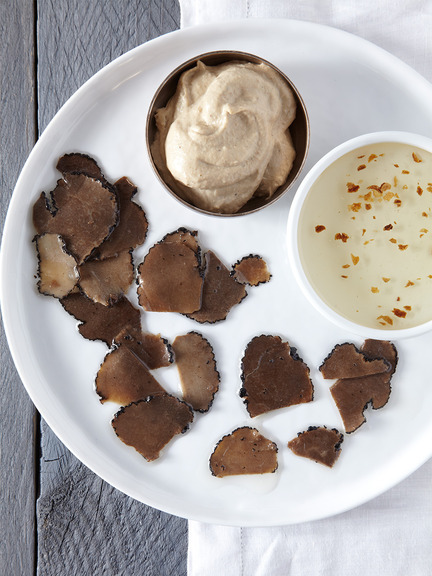 Gilt Taste has a lovely set of truffles three ways: truffle honey, truffle cream, and truffle carpaccio. Or go with a jar of Black Truffle Salt that will instantly make pretty much any savory dish taste amazing. Ok so this is a mix of edible and non-edible. 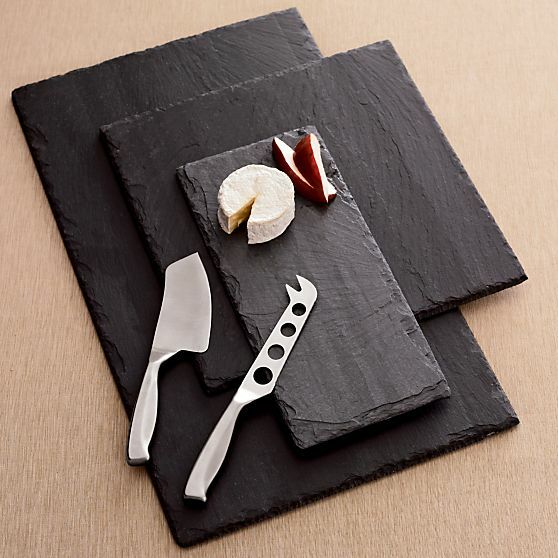 Cheese fans automatically get points for good taste. Give them their fav cut from your local artisan cheese store + a literal clean slate to present their most gorgeous slices. For cheeses, I'm a big fan of The Cheese Store of Beverly Hills, Wally's Cheese Box (West LA), and Artisan Cheese Gallery (Studio City). Some of the best cheeses I've had there: Sottocenere (truffle cheese with beautiful grey vegetable ash rind!! ), Brillat Savarin, Fourme D'Ambert. 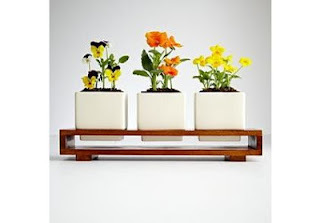 Separate post on more durable gift ideas to come! Part 1 of the recap of my Orlando theme park adventure with ever awesome friend 'Curses' covered Walt Disney World. Part 2 of course, as a huge Harry Potter geek, is all about Universal Studios Orlando - or rather, The Wizarding World of Harry Potter at Universal Studios. First challenge: getting there. With all the convenience of free shuttles within and between Walt Disney World properties, the major disadvantage of staying at a Disney resort for those who want to visit other theme parks - is there is no easy way to get to other venues via public transportation. It would take hours with lots of walking and several different bus routes. Luckily, after some research, I found a shuttle service (Mears) that picks up at any Disney hotel and takes you to Universal Studios for $19 a person roundtrip. You just have to make a reservation the night before your visit - we took the 8:10am shuttle and it was about an hour and a half ride door to door in a tour bus, including all the stops at the various Disney hotels for pickups. (When you get on the bus, they give you a voucher for the return trip. You can either make a reservation in advance for the return, or call at least 1 hour before you want to hop on one of the hourly buses conveniently running til 2am). But of course, the thing that I was most excited about, and had been dying to try for years...butterbeer. There was a wooden 'kegger' shaped cart in the middle of the 'street', serving butter beer on tap. You can get it two ways, cold or frozen (all butterbeer is non-alcoholic). Cold was like handcrafted cream soda (think Henry Weinhardt) but a deeper amber color and caramel/butterscotch flavor, topped with butterscotch infused whipped cream that is so thick it's almost a melted marshmallow consistency. Frozen is the same thing but like a slushee - frozen is preferred by almost everyone I know who's tried this, as it's a bit less sweet. You can also choose to have it in a plastic cup or a souvenir mug! The mug is refillable with soda and other drinks elsewhere inside Universal for $0.50 (butterbeer refills are still full price). Besides the texture and flavor, the other reason they only serve butter beer on tap, in open cups/mugs is because you can only drink it in the park - they don't sell any bottles 'to go'. While I was sad about not being able to bring any home, I also appreciate that this makes it more of a special thing to experience only at the park, in that lovely Hogsmeade setting. What they did sell 'to go', were bottles of pumpkin ale with a cute pumpkin shaped bottle top. With that bucket list item checked off, we made our way towards the castle up the hill - Hogwarts!!! The scale model looks just like it does in the movies, and houses the featured ride in the area. We loved gazing up at the towers...The castle actually houses a state of the art ride, Harry Potter and The Forbidden Journey, and that they take the care to have free lockers before you enter the queue, so you can store your bags for an hour while you're on the ride. All the lovely details in the waiting areas, the hallways and classrooms at Hogwarts, were fantastic and almost an attraction in themselves. Highlights include mandrakes in the Herbology themed displays outside, Defence Against the Dark Arts classroom with a giant dragon skeleton displayed, that 'snows' on the invocation of a spell by Harry, Ron and Hermione, Dumbledore's office, talking moving portraits, and of course the Sorting Hat! The ride itself was possibly the best theme park ride I've ever been on!!! The ride had the speed of a roller coaster, combined with giant IMAX screens strategically placed along with animatronic figures to give us the closest experience to hurtling through the air over a Quidditch pitch, dodging soul-sucking Dementors, facing down a fiery-breathed Hungarian Horntail dragon...because we were there during off-season, and on a weekday, there weren't as many people in line and we were able to go on the ride twice!! Loved it!! Another ride in the area is just by Hagrid's Hut. Buckbeak also makes an appearance, albeit from his nest, at this Flight of the Hippogriff ride, which is more of a traditional coaster with the magical creature theme. For lunch, we were super excited to be able to eat at Three Broomsticks - a working eatery with British tavern decor, Harry Potter style of course. ...Rotisserie-Smoked Chicken with corn on the cob and roasted potatoes ($10.99), or Fish and Chips ($12.99). The coolest thing we didn't get, was The Great Feast for four or more people, which has chicken and ribs, corn and potatoes served communal style on a cast iron platter (a fairly good deal at $49.99 for 4, $12.99 for each additional person). There are also soups, salads (Curses got a Garden Salad for $3.49) and kids' menu items. The food was not something we craved once we got home, like I did very badly with the butterbeer (the mere word brings tears to my eyes as I write...yes, total geek over here). Butterbeer is of course also served at Three Broomsticks and is actually cheaper than at the cart outside! $3.99 for 'cold' and $4.29 for 'frozen' (extra for the souvenir mug). We brought in our mugs from earlier - and the server was super nice, washing them for us before refilling with more deliciousness. We pretty much spent all day blissfully in Harry Potter-land. It was great as evening approached to see the 'stores' in Hogsmeade light up. We stopped by the Dervish and Banges store beyond the 'Owl Post' windows, and picked up some souvenir bound journals, Hogwarts luggage tag etc. The coolest thing about the journals? You can get it stamped with a Hogsmeade owl post stamp by a staffer outside the store - the stamp is exclusive to the park, a nice touch to make the souvenir feel even more of a keepsake for our experience there. We couldn't resist taking shots of Hogwarts at night. Though I love themed rides, I'm not a fan of 'real' rollercoasters (those built for speed with crazy dips and swirls) - motion sickness is what gets me, not fear. So I resisted the Dragon Challenge ride at first, but decided last minute that we couldn't leave without trying it. Curses had already ridden several times since there was no line. But alas the ride broke down just as I returned with her!! And then magically, it got fixed literally minutes before the park was to close - so we made a run in time to hop on the last ride for the night. Those who like rollercoasters would love this - there were two tracks going simultaneously as different 'dragons' - and your feet dangle free as the 'dragon' dips and rolls including an upside down loop. I didn't love the motion but was glad I got to experience it. I could have spent another day there just to soak up more butterbeer and repeat the Hogwarts ride!! Or just to eat/drink and hang out at Three Broomsticks or Hog's Head tavern attached to it. Some say there aren't enough rides here, and it would be great to have a whole theme park based on all the key places in the world of HP, but I personally just love the environment of Hogsmeade and what's been done to make it feel 'authentic to the fiction', and can't wait til they build out a version at Universal Studios Hollywood!!!! After Harry Potter, we stayed for Halloween Horror Nights (for Curses), a separately ticketed event at the other part of Universal Studios. I kind of turned into Grumpy Smurf at that point - as in 'I hate haunted houses'...'I hate it when people jump out at me...with half their face 'eaten' away' - but did enjoy the general theatrical atmosphere: fog was pumped into the whole area with blue/black backlighting and horror fx music, to create a truly eerie backdrop even when you're walking between attractions. Regular guests turned into zombie-like silhouettes in the fog, and actors dressed as 'real' zombies and other monsters creeped up from seemingly nowhere the whole time. The 'best' of the costumed actors, which freaked me out on a primal level - were those dressed in orange jumpsuits with hocky masks and 'chainsaws' that they ran at you with! I of course know in my head they're actors and those are fake props - but they did a 'fantastic' job of making them give off scary chainsaw sounds, a gasoline smell and 'smoke' - so that it triggers some primitive fear response in you, a fight or flight leaning way more towards flight. I had warned Curses that if she made me go to this, she may end up with a severe fingernail marks on her arm and torn eardrums - and I pretty much delivered. I did enjoy the Despicable Me and The Simpsons rides, which were a blast (probably because they weren't designed to terrorize). Sorry I didn't take any pics of this event - I was too busy screaming and my phone battery was dead after shooting all day at the Wizarding World of Harry Potter. One tip that I'll leave you with though, for those who plan to go to this event in future: if you're going to go, consider paying extra for the Express line option - the lines are insanely long at this event, and if we hadn't shelled out for the Express line passes we would have spent all night in lines and probably only get to experience 2-3 attractions versus pretty much doing them all.